March is a beautiful time of year when spring is blossoming and yet the crispness of winter still lingers. The team at The Bentley Hotel provides warm service with bespoke luxury, and to make the most out of your trip to London we want to inspire you with some great ideas of what to do. Make 2016 the year the year you surprise and delight your mother with a luxurious trip to London. Indulge in an traditional English afternoon tea and explore the parks and scenic areas of London. If your mother loves flowers and gardening make sure you visit the Camellia Festival at Chiswick house. For the style obsessed mom, Vogue is exhibiting “A Century of Style” at the National Portrait Gallery. This world renowned gallery offers more than just contemporary exhibits. 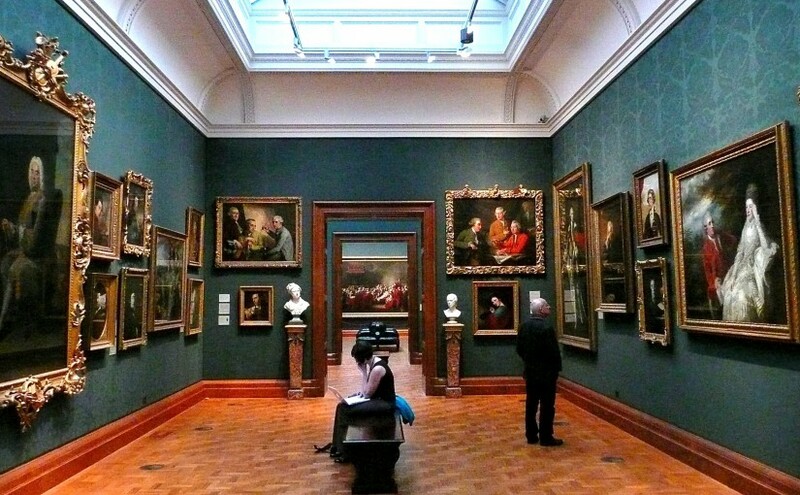 The “NPC” is home to historic Victorian paintings rich in British history. However if your mom is just looking for a day of pure relaxation then why not unwind in a top end spa and cap it off all with a delectable dinner. The perfect day is awaiting you and your mother this March at The Bentley Hotel London. Find out here how you can give your mother everything this Mother’s Day. London is having a festive end to the month of March by putting on a multitude of events for anyone that has interest in getting out and about. This includes shows, festivals and traditions such as the Oxford, Cambridge boat race that has been in place since 1829. This boat race this year will take place on the 27th March and is a key part of both Universities history. There have been 161 races between the two universities and they are only separated by two races, with Cambridge in the lead. This could be the year when Oxford gains back a race so make sure you be there to see it live. There are many more social occasions taking place Easter weekend in London; perfect for families and individuals. When visiting a great city like London it is only right to experience all it has to offer, including the sumptuous luxury offered by The Bentley.